Encourage language learning through watching cartoons and sing-alongs! We've compiled a list of popular kids shows in foreign languages, so you and your child can watch and enjoy whilst practising language learning. If you haven’t already found your favourite cartoon characters in French or Spanish and other languages too, then here are a selection to try. 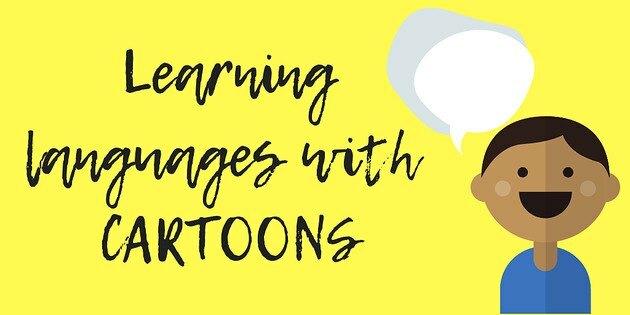 If you aren’t fluent in the foreign language, cartoons can help you practise along with your child. Some have sub-titles, but try and concentrate on listening first. Don’t worry if you can’t understand every word. Enjoy watching the scene, see if you can guess what they’re saying from the images and then try and pick out some familiar words. If you watch the same video a few times, you should find it easier and easier each time. And if you play the sing-alongs enough times, you’ll soon be joining in. It’s great to realise that Tractor Tom and Peppa Pig can also speak another language! It shows that not everyone in the world speaks English. Click on the links in blue to go to the YouTube Channel, or watch one of the videos below.